All of the below information comes directly from job reviews written by Barratt Developments employees based on 195 reviews. Here at Barratt, we’re not just about bricks and mortar. We’re about fulfilling ambitions. Opening doors. Creating a real sense of belonging. That’s how we work with our customers. And that’s exactly what you can expect from us as a graduate. As a FTSE 100 company, our business is very wide-reaching. For you, it means the chance to be involved in everything from finding the right land through to adding those finishing touches that will turn our houses into homes. Along the way, you’ll be able to connect with a wide range of people – experts who can help you build your network and achieve your goals. You’ll even be mentored by one of our Managing Directors. Before long, everyone here will know your name. And you’ll know exactly where you want to take your career next. We’ve been voted as the best employer for graduates to work for in Property & Housebuilding for the past six years in a row. There is no better place for you to learn and grow. The emphasis placed on the development of the individual. I get to work with an amazingly talented team of people in a very positive work environment. The graduate scheme enables you to learn how your future job role links to other departments, giving you knowledge of how you will have to interact with other departments, a wider view of how the business runs, but most importantly a network of people. There are plenty of social events, flexi-hours and opportunities to progress. I am so supported as a graduate both Group-wide in my division. The training and development opportunities are second to none and I am so grateful. I love the tasks I am set and I learn so much each day. Being able to see and get to know all departments. Great people, flexibility, being able to view other departments via rotations, hands-on approach, responsibility. The wealth of training on offer for Graduates and new recruits is very impressive. Attractive benefits and a competitive salary. Exposure to divisional directors, mentorship from divisional Managing Director, exposure to senior leadership within Barratt Group. The best thing about the graduate scheme is the variety it allows you to experience. By rotating across 6 different function groups of the business, you are really able to get to grips with the workings of the business and form positive relationships across the board. This provides a fantastic springboard for the next steps in my career, which will hopefully be in a management-level role. I have only been with the company for 4 months but the rotations mean I have already learnt a phenomenal amount about things I had never even thought about. There is a fantastic office atmosphere, and it really does feel like people want to help in whatever way they can. The varied nature of the work and the team I work in. Some of the best things about this role are people and variety. I haven't found myself getting frustrated about doing the same things day-to-day. There's always been something that provides a bit of variance to help break up the day and keep it interesting. The people I've met in my role are also some of the most knowledgeable and supportive. I couldn't have asked for a better team to start my career in. Exposure to high level people within the business from an early stage. Responsibility for your own work from an early stage. Good culture (frequent opportunities to attend social events with colleagues outside of work). Being on the ASPIRE programme allows you to meet almost everyone in your division during your 8-week rotations in each department. This is an unmissable opportunity that very few people get. The ability to meet these people and establish a wider network of useful contacts and people you can learn from is incredibly useful, and allows you to gain a knowledge and understanding of the business that very few people experience. The amount of opportunities you are given and the amount of effort and dedication that goes into training you to be the best you can. The company's benefits package is also great and something you get from day one. The best things about my job is the variety. I get to work with different people on different tasks and this makes my time at work enjoyable. I am constantly learning and progressing. 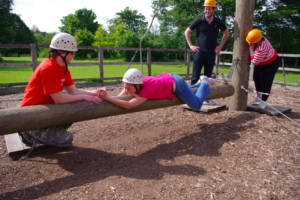 The graduate training/support is also really good fun where you get the opportunity to learn valuable skills. The best thing about my job is the amount of contact with senior management. I have reviews with the managing director every two months and weekly/fortnightly contact with the director of the department that I am based in. I have also had exposure to the regional managing director and it is a great privilege to have this exposure and learn from their experience. I also enjoy the freedom to be innovative and work on a variety of projects in a range of departments. During each rotation, I have been able to complete a piece of work that is a project I've been able to take real ownership of and which adds value to the business. These are often prepared in conjunction with other departments and are outside the routine day to day tasks of the department. Scope and breadth of work undertaken. Every day is different and I am constantly challenged in the workplace. I never know what to expect but it makes the job a lot more exciting and keeps me engaged. I also enjoy all of the training I get from Barratt's and the amount of work they do with you on personal development as well as the development in your role. There are still training days available and they do their best to keep you progressing. Team morale and the shared successes. Number of motivated and dedicated individuals and teams. Always being challeneged, and being encouraged to take on new tasks every day in order to learna and develop. I've always been very well supported, and appreciate the time and effort that many people have put into my development from all aspects of the buisess in order for me to progress in my career. Fast paced, target driven and constant problem solving. Great exposure to other departments within the company and connected sectors within the wider industry. Good responsibility with being put in charge of driving projects forward and liaising with members of other teams within the company and external consultants. Great working environment and colleagues. Good training and opportunities available to diversify your job role and get further qualifications. The people! Support and guidance will always be available for those who ask for it. The rotations and the opportunities in the role are fantastic. The business is very supportive of all our development and training needs and give us opportunities to try a range of things. Being given more responsibility as I become more confident with what I do. Not every day is going to be the same. Each day is challenging and enjoying every aspect of the job. I enjoy working internally and externally. Do your homework. Make sure you demonstrate why you are interested in pursuing a career in the property industry. Why have you chosen Barratt Developments? Prepare! Have some examples prepared in advance to answer the competency based questions and keep your answers relevant to the questions being asked. Try to avoid lists. Use short descriptive sentences to explain why you chose to pursue a course or what lead you to get involved in a particular project or experience. You may be asked to describe a specific situation you have experienced such as; a difficult or awkward situation. You will be asked questions like, what happened? how did you deal with it? what were the outcomes? would you have done anything differently? Spend a little time prior to attending the interview to have a think about your experiences and how you dealt with the situation. It might be worth having 2 or 3 different scenarios to choose from. Make sure they are easy to recall! Start early, research the organisation. Be calm, stay prepared, come across as yourself. Don't send a generalised CV, tailor your CV to the company and link skills to the role you are applying for. The application process is rigorous, like most graduate schemes. Swot up on the company, visit a site or two and be passionate. Keep the company key competencies in mind throughout your whole application and try to provide evidence of how you have demonstrated these. It is really important to let your genuine passion shine through throughout the whole process. Be yourself and show your passion. Prepare and research as much as you can. Understand the companies vision, priorities and principles. Take your time when completing the application. Be honest - don't try and hide your shortcomings but make sure you use this. Try to be as calm as you can be. Take your time when answering questions. Do your research - and also be aware that if you don't have a genuine interest in housebuilding/construction/property it will become obvious and you will be unlikely to get the job. Read up on the business' priorities and principles. Do your research, give it a go. Be prepared for role-playing exercises with actors, do your research into the industry so you have a feel for what they do, be honest and have a genuine interest in the job. Customers and stakeholders are key, be charismatic and genuine in your approach to tasks. I put in weeks of research before applying, visiting numerous sales offices, arranging meetings with current employees etc. This really allowed me to understand the company better than I would otherwise, as well as get an insight into the culture. They were keen to hear examples to back up questions from your personal life, not just professional life. Focus on personal qualities and characteristics as well as academics and professional experience. On the judgement tests really think your answers through, there are so many questions and having had the opportunity to review my application feedback I realised that I could've performed better in this element purely by thinking each statement through. The interview was much more focused on interpersonal skills and how as a prospective employee you would represent Barratt. Therefore I think it is crucial to wear a professional hat and represent the company well but at the same time to be personable and not just say what the interviewer is expecting to hear. Having had the opportunity to review my assessment centre feedback I would say good body language and manners are important, along with being able to strike up a rapport with the interviewer. My main advice would be to take time to understand Barratt Developments' key competencies (listed on the careers website) and think about how your own experience may demonstrate these and then use these in your application. Take time to learn about the company, and make it clear why you want to work for this company specifically. Tailor the application specifically to the business, the industry and if possible the area you are looking to work. Highlight any key developments in the local area and focus on recent news surrounding the construction and/or relevant industry. Come across as enthusiastic with good knowledge on all aspects. Clear reasons why you have chosen Barratt and what makes it stand out from other industries/businesses. I would say that in this role, having the right attitude is probably more important than having any particular knowledge. Clearly, prior knowledge would help, but for the most part, you learn as you go. You will be working with people who have 20+ years of experience in this sector and they know things that won't be taught in a classroom. You just have to be willing and open to get the best out of it. The interview looks at a lot at your previous experiences in job roles, attitude and whether or not you have big picture focus. The majority of questions in the interview at the assessment centre stage ask for you to provide examples of when you have or haven't done something. At the centre, there are also some role plays which can seem daunting but again, knowledge of company and processes isn't as important as how well you are able to come across. At every opportunity, you should look to build on information already provided on a CV. Do more than list your experiences and skills by backing this up with evidence and experiences. Take the time to research Barratt and the wider industry and start to form your own opinions. Don't be afraid to ask questions and be prepared to come out of your comfort zone during the assessment centre. Most importantly, be yourself! Be yourself. Show your passion for the industry or role you are hoping to work within. Do your research of the company and the industry in general. Don't use generic answers as it shows through on an application. Barratt doesn't just want to know what you know about them as an employer but also what you know about the wider industry. However, they recognise that many people won't necessarily have a lot of knowledge about this but so long as you show that you have done some research this is what matters the most. Also, try and use real-life examples of things you have dealt with in the past and try and vary these throughout the interview. Be honest and be genuine. I didn't know much about the construction side of the industry but had a genuine passion for new build houses, and in particular Barratt and David Wilson. If you show them your true passion and determination to succeed you can't go far wrong. Again, be genuine and let your passion show. If you can't do that naturally you might be applying for the wrong job. Barratt is also about your potential, not entirely on what you have done previously so highlight all your skills and show how these can be improved and how determined you are to learn more. When completing the application for Barratt, the advice I would give to another candidate would be to make your application unique to Barratt, generic applications are obvious, impersonal and it is easier to make errors (for example putting the wrong company name). Another piece of advice I would give is to tailor what experience you have to relate back to the house building industry, although you don't need a property related degree to get onto the scheme if you can demonstrate valuable skills from your experience that would benefit the company/your role it stands out. The biggest piece of advice I would give to a candidate going through the interview process for the graduate scheme would be to be yourself, it is not all about how much you know about house building industry but about your personality and potential. To have a big picture focus throughout your interview process is important if you can demonstrate that you can look ahead and see success/vision for yourself and the company you will really stand out. I know it is easy to say and difficult to do but try and relax and enjoy the assessment day, although it is daunting it is also a fantastic experience which you can learn a lot from. Finally, use the experience and skills you do have and relate them back to the industry and the company, along with reading about Barratt and finding out as much as you can from the website/articles//forecasts, you never know when you can use this information to your advantage. Consider what is important to Barratt Developments (their vision, priorities and principles) and demonstrate how you share these. More about who you are and your potential not just what qualifications you have on a piece of paper. Do your research on the company and the industry as a whole. Always give examples of how you have used your skills in real life e.g. if you say you are good at working in a team provide an example of how you have done this. Do your research on the company and the industry as a whole- the house building industry is a hot topic so make sure you're up to date with it. Demonstrate your enthusiasm for the whole industry and Barratt as a company. Due to the fact you are in a different department every eight weeks you need to demonstrate an enthusiasm for learning about all the various roles. Personal development is also very important to Barratt so don't be afraid to talk about a situation which didn't necessarily go well but that you were able to learn from. It is important at the assessment centre to fully engage with the task being set. The situations can seem over-dramatic as they are being acted out but you have to remain calm and professional. Inter-personal skills are crucial so listen to what they are saying, respond to how they are acting, show empathy and concern, diffuse any anger etc, and put forward a solution. For the interview itself prepare for questions about Barratt, why you want to work for them and your career goals beyond the graduate programme. Remember again that you will be working across six different departments within that division so show your enthusiasm for the industry as a whole and the opportunity of spending time in each discipline. Before applying do some research into the scheme, the company and the industry. You are not expected to know everything, as there is lots of training once you are in your role. Most importantly be honest when answering the questions. I would advise anyone who gets to the interview stage to just be themselves. They want people who are authentic and have a passion for the role they're applying for. If at any point you get stuck, don't try and pretend you know something, just be honest and say you don't. Familiarise yourself with the company. The assessment focuses on what you have done not what you can do. Be prepared to answer questions with real-life examples. Demonstrate your passion for the industry and your ability to learn. Do as much research about the Company and the Industry as possible, but don't be worried if you don't know everything about the role. They pride themselves on their people and they are not too worried if you don't have all of the knowledge because they can teach you that. Answer questions with your instincts and don't think about it too much. Be honest they aren't trying to trap you and they show you your results. You would be very surprised at the mix of results within our cohort. I was asked standard questions and they wanted to get to know you and your fit, you should always be prepared to answer questions about the company or have a couple to ask yourself but they are not looking for 'buzzwords'. Research the company extensively and tailor answers towards this. Show an understanding and clear enthusiasm for the construction industry and chosen discipline. Interview focuses on who you are as a person rather than the skills you possess. Take your time when submitting your application - don't rush! Use the STAR technique when answering competency questions. Research the company and recent developments. Confidence and presentation skills are key. Show you have knowledge of the company - its financial results, any major initiatives currently on-going. Show what has drawn you to the company - its working environment/any previous experience you have had with them. Demonstrate how your previous experience and the skills you have could be transferred over to a real role within the team. Prepare to be asked about the wider industry - what are its on-going issues and what new ways are being tried to combat them. Always prepare examples of where you have used skills rather than simply listing skills you have - where have you built relationships in a real world environment and how did you maintain them for example. Above all show your passion - not just for the company but for the industry as well, this isn't just any other job to you, this is the one you want. Take time to research the company and be sure to build on the information contained within your CV. Evidence of personal development in a previous role and how you reflect upon experiences is important so be sure to think about this throughout the application process. Be prepared to think on your feet! Be prepared but most importantly, be yourself! It's a long process, but if you are passionate about the role and do your research you should go far in the process. Be personable but professional. Give honest and real life examples. Try to relate your answers to different things that you've done, and not just to uni projects. This will help demonstrate that you're a well rounded applicant who is keen to do different things. Think 'big picture' - understand where the industry is heading and where the business itself wants to be compared to its competitors. Understand the workings of the industry and its relationship with the government/financial health of the country. Do a lot of background research about Barratt, its brands (David Wilson, Ward Homes, etc.) and understand what makes them leader of the housebuilding sector. Again, 'big picture focus' - Barratt, being most successful housebuilder, is constantly thinking ahead of its competitors so understand how. As well as that, communicate valid, strong examples when you've worked well as a team and the techniques you used, and when you've had to overcome a difficult situation - these questions always crop up. Communicate why you've got an interest in the housebuilding sector. Know the business and know the industry. Be yourself. There is no right answer, only the right attitude. Make it clear why you want to apply to work specifically for Barratt and not just in housebuilding. Research the company brands and visit some of our sites to discover what we are building in your area. Think about the bigger picture. When giving examples or making decisions, think about their long-term impact. Do it! Although slightly daunting having to uproot every 2 months, it allows you to network with pretty much the whole office - which is so helpful both in a social and professional context. It expands your knowledge and allows you to connect the dots in the most effective of ways. Be yourself - your personality is as important as your past experiences. Always do your research on the company, what it looks for in candidates and how can you demonstrate it. What work does the company get involved in and how could this be tested for qualities during your application. Think around what they are asking of you, link it to past opportunities you have had and how it developed you personally and professionally. Think about how you adapt to changing environments and how you changed the way you work to best fit and learn from them. Understand the company and the competencies required to be successful. Be prepared and again display the competencies required. Also show your personality and desire to work for Barratts. - Sell yourself well on your CV. - Sell yourself (but don't lie). - Provide interesting extra curricular experiences (societies - past jobs - volunteering). What are the most common problems facing a development/project? Ensure you have a full understanding of the company, looking at current and future trends of the industry. It is important to know why you are choosing this role over all other opportunities and really express this during all stages of the interview process. Show flexibility and adaptability, brand awareness, industry awareness and dedication to improve/continue to learn and develop. Competency based interview, so focus on good examples of exemplary behaviours. Vary examples between academic, social, and professional, and be honest about outcomes, even when the outcome isn't what you had hoped for - it is better to have learnt from experiences than think you have done it right every time. Research thoroughly into the company and ensure you read into why it has been such a success in the past. Practice interview questions and really acknowledge why you deserve the role in order to be confident in the interview process. Thorough research of the company and the responsibilities which fall under your role. Also, research what the graduate scheme entails. A degree alone is not enough; ensure that you have experience in whatever that may be; volunteering, part-time jobs, placements, internships, organisational roles in societies/teams, etc.). These skills will be paramount in the application process and the role itself. Research the company and market, be genuine to yourself and be organised. As long as you have the drive they will always be there to help and support you. Genuinely be yourself, they are looking for the right people as they know most skills can be taught along the way. Firstly, know the company and what their values are. Barratt prides itself on the core principles and is proud of being a national volume house builder while also scoring highly in sustainability criteria and customer satisfaction. The application process is tough so be prepared to be put through your paces. They need to know if you are right for the job and that they are the right choice for you. The scheme is great but demanding so the application process will definitely show if you are right for the job. Be yourself. There's no point pretending to be someone else to get the role and then finding out it is too much for you or not what you were expecting. They will be scoring you against set criteria which is quite broad. They are looking for the leaders of tomorrow so will mark you on your existing and potential skills. Do your research on the company and the industry before your interviews and assessment centre. Be yourself and be positive. They are not looking for grads specifically from a related degree, they want the RIGHT people who can learn, adapt and make a positive change for the business further down the line. Ask lots of questions. Think about examples of different times you showed resilience or managed conflict or went above and beyond etc. It's all good stating you can do it but you need to be able to back it up. Prepare, prepare, prepare. If you are well prepared, the interviewer will pick up on it and will know how badly you want the job. Research the company and the housebuilding/construction industry thoroughly. Know the key trends and issues facing the sector. Prepare a variety of real life examples from different areas of your working or university life or from your hobbies or other experiences. Make sure these examples show where you have applied your key skills. Research the company (i.e. number of homes built annually, annual turnover, number of divisions, company structure, and most importantly division structure). Research the role you will be applying for (what your responsibilities will be, what skills set will be expected from you, any professional qualifications available and the duration needed for you to undertake them). Be yourself at the assessment centre and interview. That's the only way you can be relaxed enough to ensure that you give a good account of yourself. Put down as much information about yourself as you can, particularly things which you have done outside your degree / school. However do not make anything up, you will probably be questioned in depth, and any inconsistencies in what you say will be a red flag. I would advise candidates to begin the rotational process with a completely open mind about where they want to end up in the business and try to convey this to their colleagues. An understanding of the future of the housebuilding industry and current legislation is key. Furthermore, it is necessary to have good leadership, teamwork, problem solving and time management examples. Learn as much as you can about the business for example history, current or past projects and competitors. Most of this can be found on the companies website, however it is useful to look at other sources so that you aren't just regurgitating what the interviewer already knows. Don't try and out do the people around you, be yourself, be honest and the assessors will see it and of course show them why you are the best candidate. Be confident, be calm! Take a second or two to think about your answers rather than say the first thing that comes to your head and trying to back track from there. Remember to really listen to what your interviewer is asking and answer the question they are asking and not the one you want to answer. If you don't understand or have misheard don't be afraid to ask again, you'll have clarity on what they are asking and a few extra seconds to compose your answer. What research have you completed about the company? You must know information about the role, sector, Barratt Developments and the difficulties that the industry faces. You must also be enthusiastic about wanting the job. Once again you need to know your stuff. You will be found out in one of the many stages if not. You also must be confident and make sure you are remembered and have a bit of character. Give examples of experiences you have had which gave you the opportunity to display leadership, intuition, team work and creativeness. This can be from any experiences you have had and not necessarily industry specific. Interview Advice: Be honest and be yourself, try not to act in a way you think the company is wanting to see. The entire interview process is designed to find out what you are really like and you will get caught out. They also want to see if you will be a good fit for the company and it is an opportunity for you to see if you like them. Do the basics - visit the website, our values, read up on news stories in the media and visit a development first hand. Also consider factors which might impact Barratt, shortages of trades etc. and what Barratt is doing to combat any threats. - Prepare examples where you have shown skills - teamwork, leadership etc. and be ready to elaborate. - Be direct and make sure you get out of it what you want as well. Make your application stand out by showing real passion for the industry , include any extracurricular activities you may have done. Research the company but also try and have a holistic understanding of the industry and show the interviewer that you understand what challenges the business faces and that you have your own ideas about how to mitigate against them. Be honest and be yourself. Talk about your experiences and use competencies to base your answers. Again, be yourself and let your personality shine through. Ensure you have plenty of examples of times when you have done things which back up your reason for applying for the job and why you want to work for Barratts. Ensure you have researched the company including KPI's and recent news articles relevant to the business/industry. Create a SWOT analysis on the business to help you gain further understanding on the companies opportunities and threats. You need to express your passion for why you want to work for the company and what you can bring to the role. Ensure you have some knowledge about the company & the industry. It's important to know why you would like to do the role you're applying for. Do your research. Be familiar with our company, our brands and types of homes we build in different parts of the country. Visit some of our showhomes and compare them with those of our competitors. Research any challenges the industry is currently facing and give an opinion about where you think the construction/house building industry is going in the next few years. Think about the bigger picture and the impact that your decisions or responses will make in the long term. Remember our company vision, which is to lead the future of house building by putting customers at the heart of everything we do. Show your enthusiasm and passion for working for Barratt, over other companies. Most of all, be yourself! Ensure you have fully prepared for the interview through gaining an understanding of the business and division for whom you are applying for. Prior to the interview and assessment day you will receive interview tips and advice, I would highly recommend reading and following the tips given. Make sure your CV /Cover letter is up to date and relevant showing how your past experiences, interests or hobbies link into the company. Barratt's received hundreds of applications each year therefore insuring spelling, layout and clarity is correct and professional is essential. When applying which is conducted initially online, ensure you answer questions fully, demonstrate how you made a difference to that team or experience you are talking about demonstrate what you did to ensure that experience / team project etc. was a success. Don't rush the application and think about your answers. Finally get someone else who is competent enough to check your application as we all make mistakes that we might not necessarily notice straight away, or until after submitting your application which by that time will be to late. You can only make a first impression once. My advice would simply be "fail to prepare then prepare to fail"
Barratt's are good at providing information and communication leading up to interviews either via phone or in person. Insure that you prepare your answers well and that you think about the bigger picture focus and the importance of change to an organisation. Overall remember you are interviewing them as much as they are interviewing yourself. Be pro-active, ask questions, show you have done your research into the company or division you are applying for. - APPLY EARLY, spaces fill up fast and is very much a first come first serve basis. London vacancies also fill up rapidly. - Be calm and prepared. By doing so, you will come across much more confident and will be able to answer questions with ease. - Think long-term and big picture focus. Do your research on the company. Find out about the history and speak to existing graduates as they provide a great insight - as they did for me. Go round one of our developments (including a David Wilson development) to see how it's done. Be honest - they're looking for the person who will fit in - not necessarily reams of qualifications. Previous experience does help as it provides a basis to support your answers with. Again in the interview stage make sure you have fully researched the company. You need to be passionate about the construction industry and to have a positive and optimistic outlook that your decisions and ideas are valuable and will improve whichever area of the business you work in. You also need to be well organised, a quick learner and ready to take on a lot of responsibility after the first year of working with the company. Confidence is key. There is a lot of emphasis placed on communication skills and an ability to present yourself and your ideas in a positive light. I think you also need to show you have the ability to be a team player as much of the job depends on you communicating with and assisting people both internally within the business and externally. In terms of the interview itself, I suggest the candidate demonstrates good reasoning to draw valid conclusions. It is also good to come equipped with examples of personal challenges you have overcome. Be yourself on your application - this job will bring out who you are. Find out the issues in the construction industry. Explain why you want the job and give good reasons. It is a tough process but it is designed to see whether you are a good fit for the company and whether they are a good fit for you. Visit a sales centre beforehand. Remember what the business is hoping to achieve, and that is customer satisfaction. Barratt are hoping to be the pinnacle of brand association within the house building industry and that is evident throughout the departments of the business. Build your application on any experience you have with customers whether it be face to face, telephone or written. A good knowledge of the business from all aspects of commercial, construction and the competitors within the industry. How we set ourselves apart from other house builders is always very useful. Honesty, industry awareness and determination. Not to overcomplicate wording. Focus on company objectives and progression in the future. Show adaptability, leadership and self belief. Assessment centre includes role plays with various working situations (customers, colleagues etc.) so could prepare for those scenarios. Understand the company position in the industry and external factors which influence our production. What do you know about Barratt Homes? Make sure you do your research! You won't stand out by regurgitating details found on the website - do a little digging and find out something you can relate to. Demonstrate and support your claims with examples. i.e.. leadership and organisational strengths may have been developed through University projects, Sports teams etc. Why do you want to work for us over other Housebuilders? Give me an example when you demonstrated "X" ability... i.e. To look into all the options you have and do lots of research into that role try and go onto a site and have a look around or you might get a shock. Just be yourself it's not about what you know technically because they can teach you that, it's your management skills and drive to succeed that is important. It does not necessarily matter if you don't have a relevant degree. The company assess on 5 key indicators. These are clearly shown on the website. Have examples for each of these indicators as you will be asked to show evidence at telephone interview and assessment centre. Be yourself and show your enthusiasm for the industry. It doesn't matter if you do not have a construction related degree. 'Non-cognate' applicants (like myself) are welcomed and I have found I've learnt so much about this industry by being immersed in this graduate scheme. Take your time as well and really think about what will make your application stand out amongst the crowd. I found Barratt's assessment centre to be a friendly and welcoming environment - which really settled my nerves on the day. Before the day you will be given guidance notes which tell you what the assessors are looking for. My advice would be to really try to understand this guidance before going to an interview or assessment centre, and try to think of some relevant examples that you can bring up when asked questions. Be yourself - the assessment centres and interviews are based on who has the potential mind-set to excel in Barratt. It is not purely a test of academia. Think about why you're applying for the specific role, why you want to be in the house building industry, and why Barratt in particular. There are a lot of developers and you need to identify what makes Barratt different and demonstrate this understanding to your interviewer. Do lots of research into the company. Be prepared for a tough day at the assessment centre, but don't be disheartened if you feel it didn't go well - you might be pleasantly surprised! Sell yourself - know your skills, draw on all your experience. Be nice to the other candidates. Be yourself - Barratt does not want clone employees - they embrace quirky personalities if you've got the skills they need. Don't be put off if you don't have a relevant degree - Barratt genuinely considers every background. Know about the company and demonstrate how you will fit in and make a difference. Think about examples that back up the skills you claim to have - have these prepared. Brainstorm every possible question you could be asked, and prepare an answer for it. Sound enthusiastic - especially if it's a phone interview - you need to convey your passion through your voice. Ask the interviewer questions - always. At least three. - Prepare - Visit a Barratt site, go on our website, look at news about Barratt and more generally the industry as a whole, prepare thoroughly for potential interview questions. Prepare thoroughly and think about examples of when you have demonstrated key skills. Don't be afraid of asking some questions yourself. Apply early and give yourself plenty of time. Don't rush and make sure you do a throrough spelling and grammar check. Be honest and be yourself - it's important to be a team member who is a genuine fit. If you try and be something you're not, you'll just trip yourself up- the assessment centres are challenging and you are monitored all throughout the day. Research the role thoroughly and read all of the application literature carefully; they give this to you for a reason! Try to gain a broad knowledge of the trends and main issues in the house building industry at the moment. They are not looking for someone who has all of the technical knowledge or experience required to do their job role well, as this can be taught, they are more concerned with your behaviours and it you are the right fit for the role. Also be sure to try to find out if Barratt and this programme is the right fit for you as well. Spend time on the application and fully think about what you write/answer, dont just write generic answers or use answers copied from other applications. Demonstrate why you really want the job, what you are interested in, use personal experiences to aid this where possible. Know about the business - brands, visions, ethos, competitors etc. Visit some sites and get a feel for what we do. Be yourself - the recruitment process is designed to get the best out of you and make sure you are the right kind of personality for the role, so dont try to be something you're not. If you dont know an answer to a question then just be honest about it and show that you are willing to learn and develop. Research the role, research the industry and when you are sure you understand why you want to work for Barratt Developments, then apply. Also, avoid using generic answers on your applications. The interview day is a tough day and you must be well prepared to show off your commercial awareness, big picture focus and ability to understand both your internal and external customer pressures. Thoroughly research how you fit in the role and what you have done previously in your work/university/social life that means you are correct for the role. To answer questions as effectively as possible learn as much as you can about Barratt and think of some insightful, thought provoking questions to ask your interviewer. Think of some real examples you can use to justify answers to your questions. Get work experience before applying in property related field to make sure this is for you. Show you understand the business and market. Give examples, don't give in something generic and show willingness to learn. Barratt are looking for individuals that will succeed, not necessarily an expert in building. The interviews are staged, firstly telephone and then assessment days. Show your desire to learn, communicate and develop. Be passionate about why you want to work for Barratt in particular, not just why you want to work for a house builder. Therefore, you need to be specific and show that you have a detailed knowledge of our company, our brands and our products. Don't be afraid to compare us with some of our competitors in your application - let us know why you think we stand out. Visit some of our sites, look round our show homes and ask for advice from current graduates via our twitter page. Talk about you want to achieve by joining us. What impact do you think you could make? Also, what could Barratt offer you by giving you a place on the programme? The assessment centre lasts for a whole day and can be quite tough. It is important to be enthusiastic, stay focussed, work efficiently on your tasks and think about the way you come across to others. You are being assessed on your ability to communicate, to solve problems, to negotiate and to demonstrate an understanding of how our business works. Keep up to date with industry news in case you are asked to talk about any of the issues we are currently experiencing in the housebuilding industry. Prepare some questions to ask your interviewer and be sure to talk about any experiences you have outside of academia, as this can be a great way of expressing your personality. Be prepared! The interview process consists of a few stages with the assessment centres really focussing on you as an individual. Remember this, Barratt do no only look for qualifications and grades, they are a customer focussed buisness and require customer focussed candidates. Spend time researching!!! Read the reviews on the Job Crowd as the current grads will give you the best advice! Ensure your application is unique to you as an individual. Tell the company about your personal experiences, as well as your employment ones. Barratt's review employees as individuals and consider their natural behaviours as much, if not, more than educational or employment achievements. Therefore, be truthful in any questionnaires you fill out, as answers you think may not fit the bill, may be a more suitable answer. Research the company and the industry as a whole. Consider current and future market conditions, such as potential issues the industry/company may face. Be prepared to answer questions about relationships you have built, both professionally and in friendship groups. Go and visit a site of ours, interviewers seemed to love that! Research, Research and Research ! Remember the job should be suited for you. Ultimately you do not want to force to become something you are not and therefore representing your true personality will bode you well. Where do you see your self in 10 years. What are you strengths and weaknesses. What do you know about the business. The recruitment process is very transparent; you will receive concise information explaining what you are being assessed on. Graduates are recruited from many different degree disciplines so it is your behaviour, attitude and potential that is being assessed not your technical competency. The areas you are being assessed on will be made clear to you through each stage of the recruitment process. Do your research about the industry and keep up to date on relevant news articles and current affairs which may effect our business. You should be genuinely interested in housing and therefore research should come naturally. Quoting from the Barratt website will not score you any points! As it is your behaviours that are being assessed, you should be prepared to discuss times when you have displayed these in the past. Make sure you emphasise your strong points that coincide with those of the business, look at the company vision, familiarise yourself with the language used and harmonise that with the application. Make yourself stand out, don't just fill in 'another application form' take the time to learn the business and really drive what benefit you would be to the business and what potential it can bring out in you. Make sure you are fully prepared and knowledgable, googling 'Barratt Developments' the day before the interview won't show true desire. Understanding what we do, how and where we do it and a brief history however will help you to make a good first impression and will also allow you to show how your skills tie in with ours. Don't apply if you are not truly interested in the industry. Ensure you research the company and know why you want to work for Barratt Developments. Ensure you are prepared to talk about how you behaved in real -life situations, such as being a group leader or building work relationships. Familerise yourself with key current issues and future influences in the industry which effect the company. Understand the companies philisophies and key principles, and how they and our competitors position themseleves in the industry. Create a well structured clinical CV on one page if possible. Be yourself and balance a friendly positive attitude with a professional well spoken manner. Be proud of your achievements and explain your key attributes. Stay calm and take your time, do not overspeak and waffle just be clear and clinical with answers. If something additional comes to you speak at an appropiate time. Do not just send in genetic applications. Mention the homes we build and our award and achievements. Make sure you are confident, and passionate. Know about the industry. Make sure that you understand our aspirations and what we are trying to achieve as a company. Answer all the questions thoroughly but make sure that everything you say is relevant. Try to avoid unnecessary 'waffle'. The assessment centre process is nerve-wracking but the most important thing is to stay calm and be yourself. The company is looking for individuals who can bring something to the business. Make sure you have relevant examples of where you have used a skill to achieve something and what the outcome was. Do not try to guess what the assessors are looking for, as they will know when you are not being yourself. You need the ability to be flexible enough to try out new challenges and embrace all rotations even if they are unfamiliiar fields of work/study in order to make the most of the programme. Confidence and communication is also key to be able to express yourself and your ideas clearly. Previous experience is a big focus on interview; interviewers ask for scenarios which you have previously dealt with in the workplace or in teams, testing how well you might handle difficult situations in future. Part taking in extra curricular activities and charity work is also a good thing to have on your CV. Answer honestly and individually. A generic answer won't cut it. Spend extra time to read into and understand the company, its values and its actions and how you connect with these. Find out more about the company other than reading its website or Wikipedia page. Ensure you are up to date with the property/construction market. Think about previous experiences which show initiative, thinking outside the box, teamwork, leadership and communication. The programme is much more about the candidate, rather than purely academic scores. Learn about the company, its market and competitors. Understand its product. Don't just reuse other applications, it must be tailored to Barratt. Be honest and be yourself, try not to act in away you think the company is wanting to see. The entire interview process is designed to find out what you are really like and you will get caught out. They also want to see if you will be a good fit for the company and it is an opportunity for you to see if you like them. Remeber to be yourself! The assessment centre is a long and tiring day, so being genuine will help you through. Research the company, and really get to grips with the discipline you have chosen to apply for. Spend time with your applications. Make sure you have great communication and interpersonal skills because it is with these skills that secure you a position. Be thorough and honest in your answers and don't try to 'blag' anything. It's nerve-wracking, but keep calm and most importantly, be yourself! Don't try and second guess what the interviewers are looking for, as you will only trip yourself up. 1) Research the company’s history, current performance & future outlook. 2) Visit a development & ask questions. 3) Tailor your application to the job role & also the graduate scheme expectations. 1) Practice Assessment Day interview techniques. 2) Prepare by bringing questions and current house building affairs. 3) Relate questions to your experience. Take your time and use lots of examples. It's unlikely you will be against another applicant going for the same job as you at an assessment day. You will have to deal with actors who will test your customer service ability and internal business relationship building. Honesty is the best policy. Quite often it's not the people with the most experience or even the most relevent degree its about you as a person and what attributes you can bring to the business. Be yourself. Its not about delivering the best presentation or best maths test result it's about your personality and how you respond to certain situations. Don't feel under pressure to perform and if you feel that you have made a mistake keep going don't give up, one bad round will not exclude you from getting through the assessment centre. It is very important for any possible applicants to understand the company and its history, as this will provide a view on what the business is all about. This is likely to involve more than just reading the website - Barratt is a National house builder with Barratt and David Wilson sites in a wide range of location, I would strongly recommend that applicants make the effort to go out and see some sites (of both brands). If considering a Land role, it would also benefit to get out and see pieces of land that Barratt has submitted planning applications for before it is developed. This will give a good view on what type of land is favoured and also the areas that are valued. I would also suggest that applicants try and understand the targets of the business and what it is aiming for strategically. This will then lead to a view being generated which will be important to discuss during any application process. It is important in an interview to express what you have found out about the organisation as well as where you have been/what you have seen. If the opportunity arises, it may be appropriate to ask a few questions of the interviewer. This might be about how they find working at Barratt or how they find the house building industry. Be honest. Do not try to write 'what you think they want to see'. Barratt seek individuals. Driven by the desire to progress and work for the company. Be prepared. Know the industry and follow Barratt Developments on Twitter for tips and guidance. Make an early start and be thorough. Don't try to anticipate what the assessors want to see, just be genuine and be yourself. Read the information on the careers website. While this on its own may not be enough, it is a good starting point. Answer all questions honestly and make sure you have researched the company and industry before applying. Try to visit developments to familiarise yourself with the product and that of our competitors. Make sure your answers are relevant to the position you are applying for and try to give relevant example for competency questions. Examples do not have to be complex, simple things you have done at University or any work experience can be just as effective in displaying your aptitude and skills. Prepare for competency style questions by coming up with interesting and varied examples of times you have showcased key skills such as communication or decision making. Use these questions to highlight any interesting or relevant experience you have. Try to get ahead of other candidates by ensuring that your knowledge of the Housebuilding industry and Barratt Developments is detailed and unique. You can do this by speaking to past graduates and staff members as well as visiting our developments to get a greater knowledge of what we do. This is a brilliant scheme offering you an industry leading experience. You must be willing to learn, but at the same time be able to step up and prove yourself. When applying, make sure it is the scheme for you and understand why you want to work for Barratt Developments. Learn the business the hard way. Go to some sites, research the market and understand where we fit. The assessment day is rigorous but if you are good enough you will get through. Understand the Barratt culture and where we position ourselves in the market. Furthermore, understand the PESTEL issues that are influencing housing developers. All I would say is be prepared. Read around, there is enough advice out there. Researching the company must be a starting point, find out about its beliefs, history, goals for the future, and company values. Before filling out the application visit a development site to get an idea about the product, perhaps even meet a graduate to find out first hand about the scheme. Answer the questions honestly, with well thought out examples and really try and sell yourself and your experience. The interviewer is going to want to know why you applied, and specifically why Barratt. Research the market and who Barratt's competitors are. Think of good and varied examples of experience. answer the questions openly and honestly. be true to what you think rather than what you think the company wants to hear. Be yourself, practice for psychometric tests, and do backgound reserach on Barratt. Make yourself stand out by getting lots of relevant work experience and speaking to current graduates who are on the scheme at careers fairs etc. tailor your cv and application towards the key 'philosophies' that we look for - these can be found on the graduate website. Keep up to date with latest news on Barratt Homes and the wider industry. Prepare thoroughly and don't be nervous as it is very informal and the interviewers are on your side. Get to know the company and importantly our competitors and how policies have an impact on selling and building. Think of good customer service examples and always keep the impact on the customer at the back of your mind when ansering every question. Talk to us! There are many ways to communicate with current people within the company – Careers Fairs, twitter etc. It’s probably not enough to just read the website, you need to demonstrate why you want a career with Barratt in particular and what you can offer to support this. Sites like ‘the Job Crowd’ are really useful to read beforehand too. Above all you need to understand what we stand for as a company, and what we’re driving toward. You can’t prepare for everything, and we don’t expect you to. What tends to stand out from the crowd is someone who has gone that little bit further to understand us, and the industry as a whole. Think of examples of when you’ve used skills such as leadership, building relationships etc. ; it doesn’t have to be employment based, it could have been at Uni, a part-time job, or hobby. Know us, and know our competitors. We don’t expect detailed knowledge, just be aware of the industry as a whole, and the bigger picture. During the Assessment day, everyone wants you to do well, just try to be calm and genuine. The exercises aren’t meant to trip you up, if you don’t think you’ve done well in one, just forget it & concentrate on the next part. All you can do is be honest and give enough time and effort to the process. You cannot change who you are and if you are a good fit for the position, you will be contacted. If you are successful in gaining a place at the assessment centre, know why you are applying for the role and why you have chosen Barratt; be aware of the industry and be up to date with current aspects of house building. Your passion will show through if it is already there. Include lots of examples and give yourself plenty of time to complete. Revise competitors and macro environmental factors. Do your homework and research Barratt and the industry before you apply. Double check your application after you have completed it and cut out the waffle. Practice the roleplays and interview techniques before you arrive. Keep calm and be yourself, everyone is very friendly at Barratt Developements and we only want you to do your best. Be yourself everyone that works within the company is very down to earth and personable. Be prepared for the interview and do you home work by not only researching the company but getting out and visiting a sales arena. Research the housebuilding industry - current issues and opportunities. Be yourself, demonstrate your enthusiasm, demonstrate your willingness to learn. My advice would be to get to know the company and sector in detail. Have a look at the main policies of the political parties, what effect would a change of government have? What if Help to Buy were to end tomorrow? Have an opinion on such matters. Have a think about our values and try to demonstrate that you would fit well within our organisation. Show that you are energetic and confident. It helps to smile! Try to think of examples of when you have worked well in a team or as an individual and times when you have demonstrated leadership qualities. Try to give your answers structure so that you can clearly demonstrate that you had an aim and what that end result was. Ensure you have a good knowledge about the company and that you are genuinely interested in working for Barratt Developments. Take the time to visit one of the sites and speak to people. Be well prepared and know about the company. Be honest about why you want to work for the company and try to understand how your skills and personality will fit with the company's values and philosophies. Research the company: who they are and their values and who their customers are and how they treat them. One of the best things about working for Barratt Developments is the level of training you receive. This ranges from classroom technical courses to team bonding days, simulation centers, real life situational training with professional actors, construction H&S courses, in-depth finance courses, personal development training and various others. You even have the opportunity to train how to conduct interview with candidates at an early stage in your career. One of the greatest things about working for Barratt Developments is career progression. Within my division there are several ex-graduates who are now in senior roles, one of which is my mentor who provides excellent support for my career progression. we could be more competitive on land bids. Staff are treated very well and I feel like you are always encouraged to flourish personally and professionally. There a lots of opportunity for development. Challenging and interesting projects with a constantly busy workload. The company has clearly defined values and is clearly improving on areas of weakness, such as the industry wide challenge of gender imbalances in housebuilding. The company's pro-activeness makes me proud to work for Barratt. The benefits are very competitive with a fantastic holiday allocation and seemingly good salary opportunities once off the graduate programme. The working environment. The senior management are of a different generation and therefore are a little out of touch to the ideals of a modern working environment. For example I think the work-life balance could be better. We have recently started a flexible working policy but it doesn't offer much flexibility at all. There is no opportunity to work from home and the office environments are not particularly enjoyable places to work. Our IT systems are extremely dated and the company doesn't seem particularly proactive in addressing this. Also there are a lot of arduous reporting structures with several hurdles to go through on every project with Barratt Group. Checks and balances are crucial for a big PLC like Barratt but I feel they could be streamlined. It can be quite arduous and feel like you're spending more time reporting the work that you've done than actually progressing with projects and tasks. it is disappointing there is not more meaningful progression in terms of salary between year one and two of the graduate programme and it is frustrating that as a graduate your salary is controlled by Barratt group who only see your performance in terms of grading on a review sheet, as opposed to the division that you are working who have more of a feel for your value to the business. They are committed to the learning and development of their workforce, there are always opportunities for further training. Opportunities for progression and willingness to hire and promote within. Slightly behind the times both technology wise and working wise. Use of old systems and unwillingness to change/adapt. Fantastic training opportunities, great colleagues that want to help you learn and a lot of opportunity to progress throughout the organisation. Barratt tends to be a high pressure organisation and some people struggle with this. The amount of opportunities and training you are offered. The option to also sit professional qualifications though the company is encouraged. The benefits package is also fantastic and is offered to you from day one. 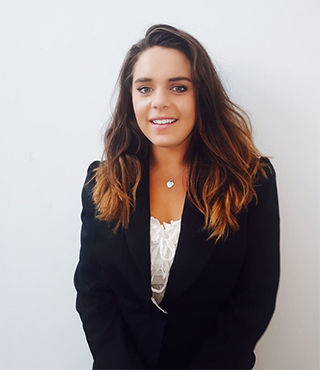 As a graduate, you don't often expect to meet and converse with the higher members of staff at the company but at Barratt you are constantly conversing with all ranges of staff such as MDs, Directors and Assistants. Again nothing major - if anything perhaps a little behind in terms of flexi-time. Doesn't seem to be used much, nor have I heard of it being available to myself - although I am happy with my working hours. I know Barratt Developments however are constantly working on their flexibility as employers. The best thing I have found about working for Barratt is being around people who love their job, it makes a massive difference to me as a young professional working in that environment. The company is social and good fun to work for which was really important to me when applying. I have not yet found anything in my first 6 months which have found bad or difficult about the company. 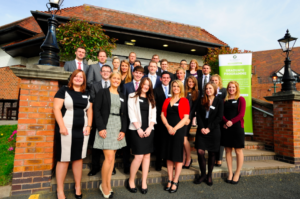 Best thing about Barratt is its support for training and development throughout the company. There is an enormous amount of support and respect for the graduate programme across the business and across the division. Development is also encouraged and it is inspiring to work alongside so many ambitious people. This is particularly good for me as someone at the start of my career as my colleagues all have strong leadership skills and are able to manage me effectively. I recognise that diversity and inclusion is something the company is trying to address but I do think more can be done to change the culture of the workplace. I hope to see more female representation at director level over the next 5-10 years and also within construction roles. In order for this to be achieved I think the culture of the workplace does need to improve with more awareness for potentially sexist comments. Centralised model meaning that the majority of the decisions are made higher than your division. Sometimes those decisions can be frustrating, as there is a lack of local knowledge. Progression and training as well as the support I get from the Managers. They seem to have a lot of people leaving and come back because of so many people coming through the ranks and need promotions, but the higher you go the less positions there are. Size allows for good training and greater level of opportunities and progression. Size also allows for greater benefits package. Esteem the company holds itself in. There are times when the work dries up working in different departments, sometimes people simply will not give you work as you do not have enough time to get in depth into it. They look after their own and drive the importance of the customer and end product. Everyone I have met within the business has been very approachable, welcoming and friendly. The office culture is great. Barratt are also very keen on training and developing which is reassuring when looking forwards to my future career. Not much flexibility with working hours. They offer great amounts of training (especially as a graduate) as well as generous benefits package. As well as that, it's achieved 5 star houesbuilder status for an eight year running. Due to the urgent need for more houses in the UK, sometimes quality of build can slip so as to hit targets. This is, however, been very much acknowledged and more quality control provisions are being put in place at multiple stages to ensure we maintain the standards the company have set. They are the biggest and arguably the best in their industry. So I get to work with and learn from the best. Slow and resistant to change. There are a lot of things that could be done better but if it is working, then why change it is often the approach. It must be said that the quality of driving change and continuous improvement is what they look for in candidates but if you have dreams of changing the world, it is difficult to realise them in a business and industry like this. It is like changing a tire on a moving haulage truck because the truck should never stop. The sense of community and belonging, the regular communication from the chief executive. The fact our work contributes towards the creation of a built product that will be there for many years to come. The company's commitment to putting the customer first. They provide opportunities to mix with employees from other offices across the country. The people and working environment make work enjoyable. The work systems in place are not always the most effective / efficient. Good, clear focus, well-organised, good leadership, big company so lots of opportunities. A bit old-fashioned and not open to change and innovation. Organisational roundabouts - decisions by committee take a long time to bottom out and a project can be revised endlessly, resulting in repeating work already completed. Great company with great ethics. Barratt Developments really believes in looking after and training it's employees, it feels like being part of a large family! Sometimes unclear on how to get things done. Prestigious brand. Great customer reviews and good quality product. Friendly office environment. Lack of diversity within workforce - though this is across the industry. The structure of the company means innovative ideas can take some time to get off the ground. Market leader, strong, respected graduate programme, national business. It has a prestigious identity. The willingness of the company to support the scheme and the board of directors support for it and my learning. Nationally recognised as a leading housebuilder. 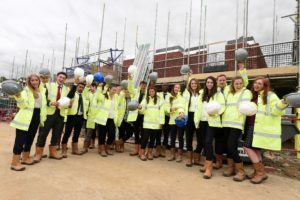 The opportunity to develop yourself, the massive array of training and support offered, the fact you feel valued - it's a privilege to be on any Barratt Developments graduate scheme and it really feels this way! Hours and workloads can change constantly as you rotate throughout the business - as long as you are flexible and understanding this isn't a problem though! Their focus on both employees and their customers. Some systems and processes could stand to be updated but they're working on it and I'm sure they're not alone. The company takes its commitment to sustainability very seriously and is also very forward thinking. Currently, we are trialling different versions of MMC. It is a great company but can be quite slow in adapting to new IT developments. You have to appreciate the hierarchy in the company and how things are signed off which can slow things down. - Support network around you. Sometimes hard to get things off the ground due to the hierarchy structure and the need to get things approved.